Artist Michelle started Mondo Murals & Design after gaining two decades of experience as a professional artist in film, theater, and commercial productions to transform any space with decorative art. 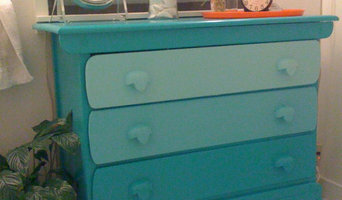 NOLA Clutter Busters is a Professional Organizer and Stylist. We specialize in creating functional and stylish spaces for the clients personal needs. We can help the client downsize, get organized, design a new space with existing furniture or help them pick out new and improved items. 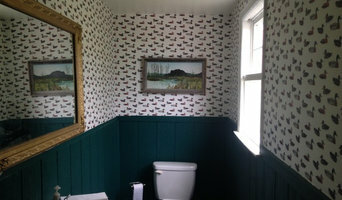 Our specialty is small spaces, tight budgets, and difficult time frames. When no one else will take the project - we will. Fine artist, painter, specializing in custom commission work in abstract, semi abstract and impressionist styles. The work of New Orleans based artist and designer Annie Moran sets an elegant tone with delicately rendered botanicals, aquatic life and the flora and fauna of the Gulf South. 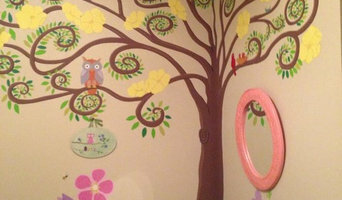 Annie works closely with clients and interior designers to create hand-painted, bespoke wall treatments that charm and awe with a touch of whimsy. Mia Kaplan is a painter, sculptor, and textile designer from Southeast Louisiana. 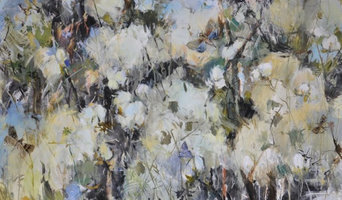 Her work illustrates a personal connection to natural borders, landscapes, wild flowers, refuges and themes of transformation. Roses made from Palm Tree Leaf. Handmade with Love, everylasing, organic, allergy free, non gmo. We are a working Studio Gallery of the original artwork of Amanda Stone Talley. Amanda's pieces are exhibited worldwide and are highly coveted by collectors and lovers of abstract art. Amanda has also translated her paintings and drawings into exciting patterns available from her own line of fabrics and wallpapers. It is our pleasure to assist you in connecting with Amanda's work. Offering authentic lime plasters (polished venetian plaster, marmorino, and textured rustic finishes) Gold and Silver leaf, custom furniture finishes, stenciling, murals, faux finishes, decorative finishes, and hand painted signage. Whatever your vision, I truly love creating unique and special environments for all of my clients. I am professionally experienced in residential interior design renovations and remodels. I also accept commissioned requests for artwork and interior / exterior murals. We are an abstract art business from New Orleans, Louisana. We work primarily with a paint brush and palette knife. The owner of the buisness, Kalie Fletcher, has had the talent to draw and paint since she was able to hold a paint brush. What really drives Kalie is the art of thinking outside of the box and processing ideas and thoughts into art. Original ethereal treescape visionary art from New Orleans' based painter, Tanner. About Artist Zana Randjelovic-Brown is native of Serbia. She discovered her passion for art while she was still in middle school. She continued fulfilling her passion for art by studying Landscape Architecture, Fine Arts and Interior Design. Today, Zana lives and works in New Orleans, where she creates elegant interiors and sheds light in her paintings. Zana's work can be found in private collections throughout the United States and Europe. For which types of work would I need New Orleans, LA artists or craftsmen? From the small to the large, the intricate to the bold, there’s a skilled artisan or craftsman that can create and supply you with beautiful artistic features to fit with your designs. If you’re after a standard, framed painting, then you can find all sorts of artists who create landscape, still life, modern, portrait or even pop art. 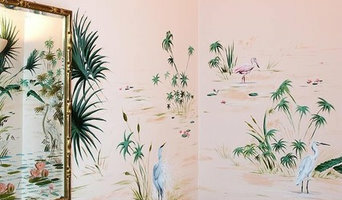 Or you can find artists in New Orleans, LA that will create more unusual wall designs and murals, paint furniture or even floors and ceilings for you. Even the essential items, like plates, bowls, tiles, splashbacks, lampshades and headboards, can be handcrafted, painted or designed by potters and artists to give your everyday life that extra decorative flourish. If you’re struggling to find the right crockery to fit in your kitchen or the perfect vase to use as a centrepiece on your dining room table, then you could turn to a potter. Potters can handcraft bowls, plates, vases and all sorts of other ceramic items for your home and finish them in a style that suits you – painted, patterned, glazed or white-washed. Take a look at their current style and decide whether a New Orleans, LA potter could produce items for your home that you’ll fall in love with. It’s always fun to try your hand at a bit of arts and crafts, but there are definitely some crafts that are best left to the professional potters, craftsmen and artists. Glass, sculpture and ceramic artists will be experienced workers who have honed their craft for many years, so if you are looking for a stained glass door panel, a garden sculpture or a set of beautifully-crafted vases, then it’s time to turn to a professional New Orleans, LA craftsman, artist or potter. Why not think outside the box, too, and consider a metalwork wine rack or a metal, one-of-a-kind wall clock? Even very specialist craftsmen such as blacksmiths can be found on Houzz, so no matter how outside-the-box you think, your designs could come to life. Here are some related professionals and vendors to complement the work of artists & artisans: Interior Designers, Specialist Contractors, Lighting, Carpenters & Joiners. Find artists, potters and craftsmen on Houzz Peruse portfolios in the Professionals section to find New Orleans, LA artists to add beauty to your home. Narrow down your search to find New Orleans, LA stained glass artisans, potters, mural artists and more.